The world provides a way to cope. 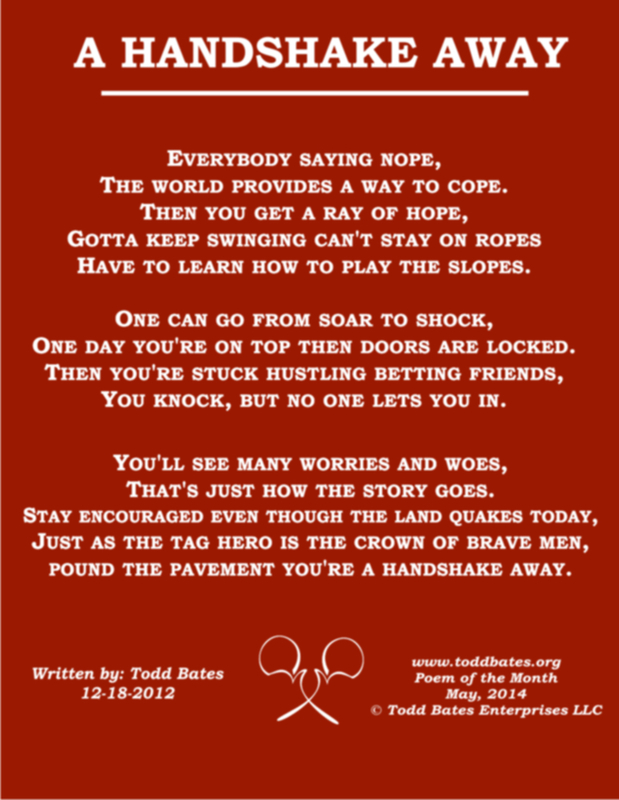 Have to learn how to play the slopes. One day you’re on top then doors are locked. You knock, but no one lets you in. That’s just how the story goes. 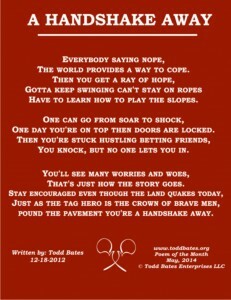 Just as the tag hero is the crown of brave men, pound the pavement you’re a handshake away. May GOD continue to bless you and the family.The family send their love.